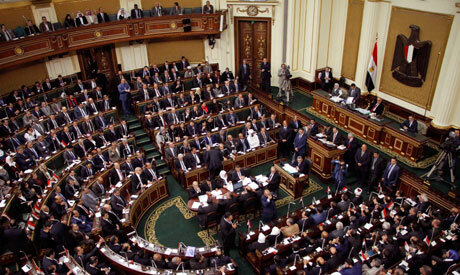 Egypt’s new budget for the 2018/19 fiscal year was referred to parliament’s Planning and Budgeting Committee for discussion this week. The government approved the new budget last month, which targets a GDP growth of 5.8 per cent, up from 5.2 per cent in the current fiscal year, a budget deficit of 8.4 per cent of GDP, 91 per cent public debt, and a two per cent primary budget surplus. In January, Deputy Minister of Finance Mohamed Mait told Reuters that Egypt’s budget deficit is expected to reach 9.4 per cent of GDP in the current fiscal year 2017/18. The new budget targets expenditure of LE1.41 trillion and investment worth LE100 billion, up from LE70 billion in the current budget. While the new budget will see a 15.5 per cent increase in expenditure, it also seeks to increase revenues by 22 per cent. The 2018/19 budget will assume an exchange rate of LE17.25 to the dollar and an oil price of $67 a barrel, up from LE16 per dollar and an oil price of $55 per barrel in the 2017/18 budget. Despite the hike in rates, which will lead to an increase in expenditure, this will not affect the realisation of Egypt’s budget deficit target, because a “hike in the dollar rate will mean an increase in the country’s foreign currency revenues,” Eman Negm, an economist with investment bank Prime Securities, said. Negm said that revenues from the Suez Canal would benefit from both a higher dollar rate and a higher oil price. A higher dollar rate means an increase in Suez Canal revenues in Egyptian pounds, while higher oil prices will prompt more ships to pass through the Canal, Negm explained. She said that cheap oil prices had diverted some ships from the Suez route and pushed them to travel around the Cape of Good Hope instead, but with the increased oil prices, ships will go back to the Suez Canal. “The increase in revenues will compensate for the increase in expenditure, so it will not affect the government’s budget deficit target, which we have put at nine per cent,” Negm told Al-Ahram Weekly. She added that tax revenues were also expected to grow because of increased business activity. As the new fiscal year, which starts on 1 July, is expected to see another round of subsidy cuts, the government has also announced that the new budget will see increased spending on social welfare. The government has not yet announced the extent of the subsidy cuts. Prime Minister Sherif Ismail said that public-sector employees would receive wage increases and that more people would qualify for the Takaful and Karama welfare programmes. Takaful and Karama are cash-transfer programmes launched in 2015 that benefit some two million families in 5,630 villages spanning all the governorates. Ismail added that the new budget would see a rise in spending on commodity subsidies for the lowest-income citizens. The new budget targets increasing public salary spending to LE266 billion, up from LE240 billion in the current budget, and spending on social welfare to LE332 billion, according to a cabinet statement. Boosting social welfare spending aims to mitigate any negative effects of the upcoming subsidy cuts, which are expected to raise prices across the board. Professor of economics at the Al-Sadat Academy in Cairo Ihab Al-Dessouki said that the government had been increasing spending on social protection, which was positive but was still not enough. He said that the subsidies system should see structural changes and be changed from subsidies on goods into cash subsidies given to the poorest segments of the population. He added that part of the savings from cutting subsidies should be channeled into cash subsidies for low-income people. Al-Dessouki said that spending on social welfare should be boosted and wages should see increases in tandem with cutting subsidies. The last time fuel subsidies had been cut, there had been no wage increases, he said. Although such measures were needed to help mitigate the negative effects of the reforms, Al-Dessouki said that the government also needed to address the general issue of poverty because this was responsible for high welfare spending. Professor of economics at Cairo University Farag Abdel-Fattah said that it was not clear to what extent the energy subsidies would be cut, and therefore it was hard to anticipate their impact on prices. He said that the new budget should try to shelter people on low incomes from price increases, adding that at present the announced protection measures were adequate. The government has been investing in strengthening the country’s social safety net that targets the poorest households and the most marginalised across the country in a bid to mitigate the negative impacts of its economic reform programme on some of the poorest segments of the population. It upped spending on social security measures in the 2017/18 budget. Allocations for social protection in the 2017/18 budget were put at LE72 billion. The floatation of the Egyptian pound accompanied with cutting fuel subsides in late 2016 sent inflation to a record high of 33 per cent in July 2017, but it started to ease afterwards.